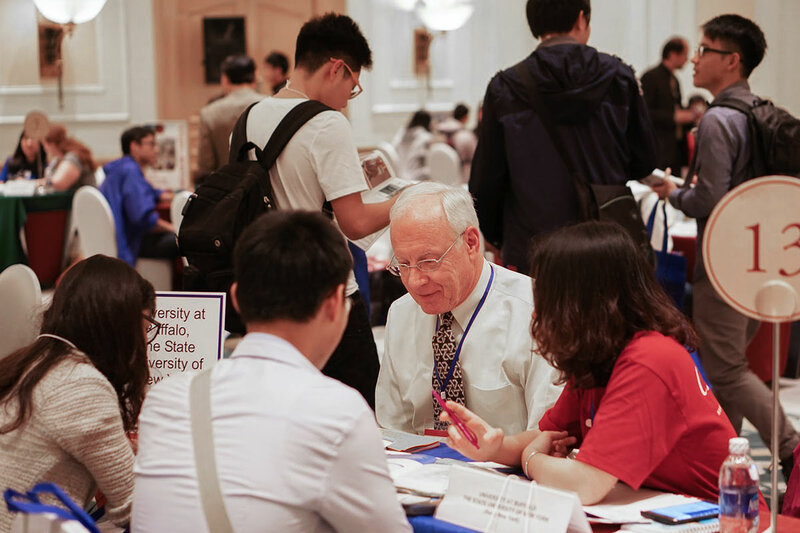 Vietnam is the top source of students for American universities in Southeast Asia, beating out more integrated world economies and countries like Thailand and Indonesia. What are some factors explaining this trend? What are the underlying foundations and values of Vietnamese education that is driving Vietnam’s educational rise? 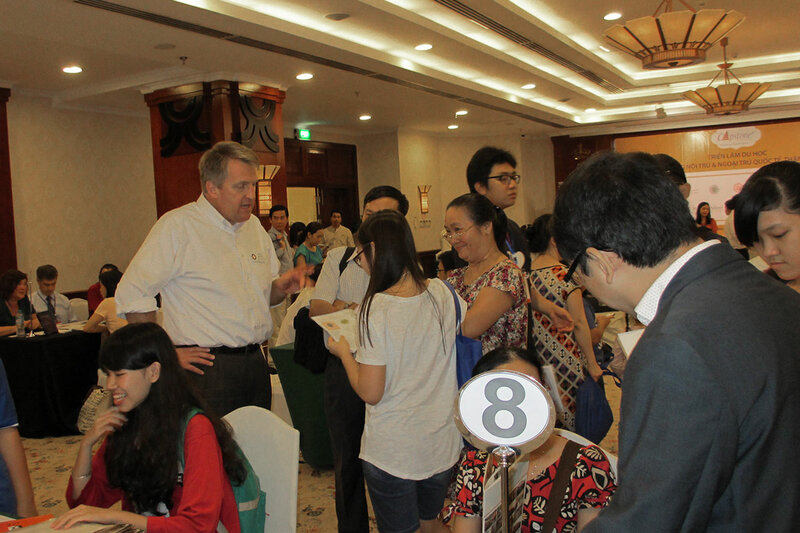 We meet with the managing director of education company Capstone Vietnam, Mark Ashwill. A longtime education entrepreneur, Mark shares his insights about working in Vietnam, evolving changes in the education industry, and why he’s excited about Vietnam’s future. What is your understanding of Vietnam’s education system? Like the country of which it is an integral and valued part, the education system is on the move with several admirable achievements to its credit, including the performance of Vietnamese students on international academic assessments. 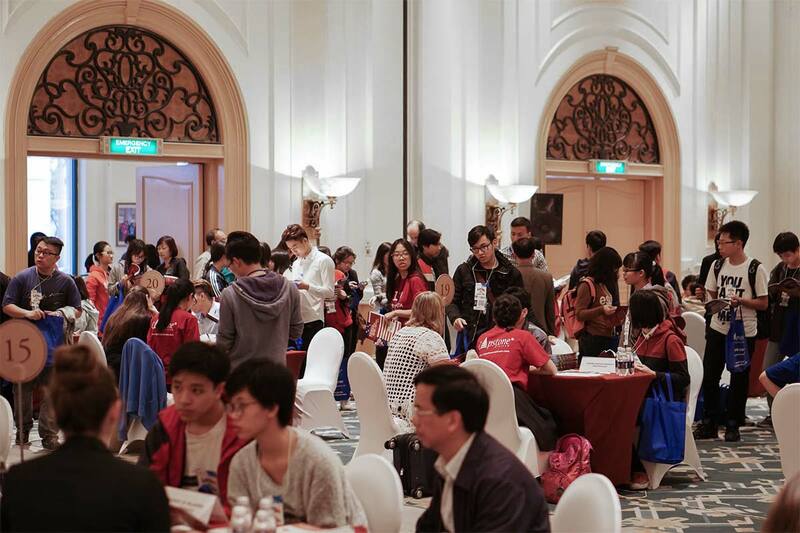 Vietnam has attracted attention and gained international recognition as an outlier, the only low-income country that performs at the same level as “advanced” (wealthy) countries on international academic tests. The recent reform of its higher education admission system is a step in the right direction, in my opinion, in spite of some problems that need to be ironed out. At the same time, Vietnam faces a number of challenges, including excessive pressure on young people, which results in stress and its attendant problems, a teacher-centered system that produces passive learners, and underpaid and overworked teachers and professors. Like most education systems, I believe Vietnam should focus more on the well-rounded development of the individual and the realization of each student’s potential. This requires quality and accessible academic and career counseling, among other changes in the educational system. Finally, the country needs to upgrade the quality of its vocational education and training system, as well as find ways in which to improve the reputation of skilled labor as honorable and important rather than low-prestige and low-status. This is consistent with the current and projected needs of Vietnam’s economy. Plus, not everyone needs to attend a university and not every university graduate is able to find a job commensurate with her or his education, if at all. What do you notice is different about the students you’ve worked with in Vietnam as opposed to students in other countries? Overall, as I pointed out in my previous answer, Vietnam is doing remarkably well with considerably less than the so-called advanced countries. I think one reason is a discovery made in the 1980s by Harold W. Stevenson, with whom I had the privilege and honor of working as a primary researcher on the Case Study Project of the Third International Mathematics and Science Study (TIMSS). Dr. Stevenson was a developmental psychologist at the University of Michigan whose comprehensive studies in the 1980s showed that schoolchildren in Asia outperformed US American children often because they simply worked harder. Vietnam compares favorably to other Asian countries, including China, Japan, Korea, and Thailand in terms of its English proficiency. There is a correlation between the high level of interest in English language learning and overseas study in English-speaking countries. Vietnam is the top sending country for overseas study in Southeast Asia. Another difference is how open most young Vietnamese are to the rest of the world, a prerequisite for becoming a global citizen. A partial definition of global citizenship is what US historian Howard Zinn once referred to as the globalization of compassion and generosity. Their outward-orientation, which includes becoming proficient in one or more foreign languages, as well as learning about other countries and global issues, whether or not they study overseas, which very few do, will benefit Vietnam on many levels now and in the future. On the downside, I’ve noticed that many young people do not have sufficient soft skills or life skills, and lack direction in life. One irony is that others, usually their parents, fill this vacuum by determining their future academic and career path, regardless of its compatibility with the student’s interests, preferences, and talents. This often results in a mismatch that wastes both time and money. 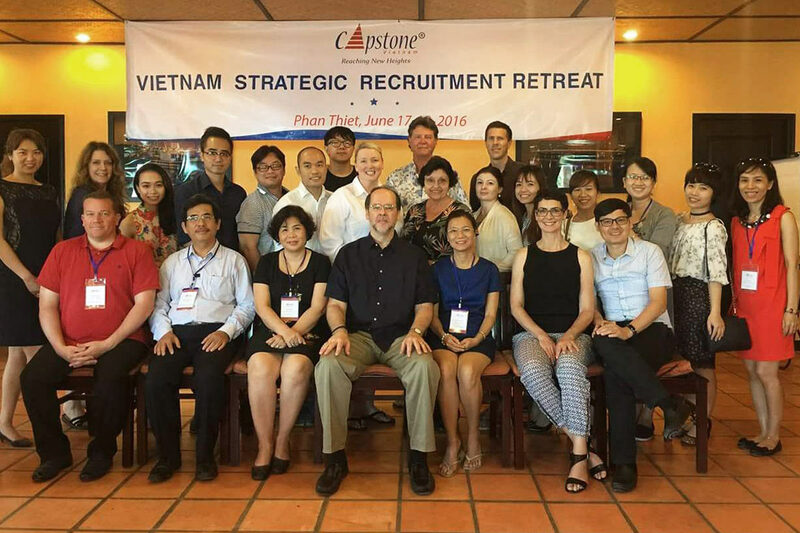 When I decided to found Capstone Vietnam, a full-service educational consulting company. 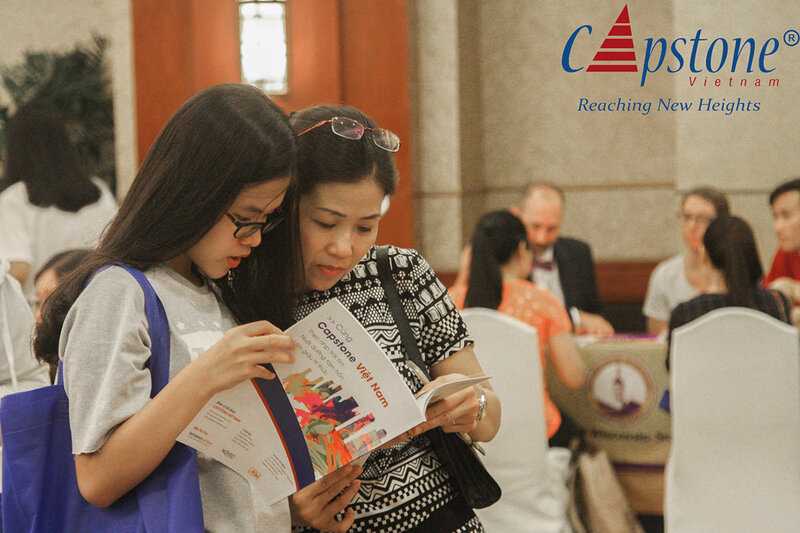 A young Vietnamese who studied in the US, subsequently got a job there, and is now contemplating a career change, recently asked me this question: What Was the Deciding Factor for You to Found Capstone Vietnam? It was essentially the desire to control my own professional destiny. While I have spent most of career as an international educational entrepreneur and while I had a lot of freedom of action in the public and nonprofit sectors, there were always obstacles along and in the way that I considered to be a waste of my precious time. In short, there are things I wanted to do that could only be done by having my own shop. Being your own boss means that your clients are your bosses. You have more freedom to chart new directions and blaze new trails. Another reason to create Capstone was to meet needs that I didn’t see were being met in the marketplace at the time. It is for this reason that Capstone’s business model is unique in the industry. What do you love about working in Vietnam? Allow me to answer this question by quoting from a forthcoming essay of mine entitled On the Outside Looking In: A US American in Vietnam. This expresses how I feel about living and working in Vietnam, why I’ve been here for 12 years, and why I’m here for the long term. I often feel like a secular missionary whose interactions with the Vietnamese occasionally break down stereotypes, melt ice, and defy expectations. I am from the USA but am not “American” in many aspects because of my international experience and global (i.e., non-US-centric) perspective. It is my privilege to be an eyewitness to history-in-the-making, a participant-observer in an exhilarating and unfolding ethnographic research project. Vietnam will at times bend you, break you and put the pieces back together again, sometimes in the course of a day. Every day whets your appetite for more and heightens anticipation about what the coming weeks and months will bring. This is a nation on the move, always in motion, rarely taking time to reflect. Life is lived to the fullest, tangible, raw, unprocessed and real. There are times when it seems as if the word serendipity was invented in Vietnam. To enable individuals to achieve their educational goals and career aspirations. 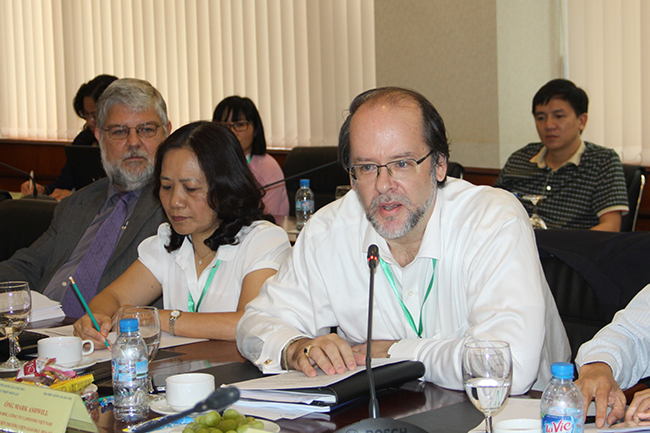 To help institutions actualize their international education-related plans in Vietnam and overseas. To make a meaningful and lasting difference in the lives of individuals, organizations and society. The word “Capstone” refers to a “high point” or “crowning achievement,” which in turn relates to our slogan, Reaching New Heights. Our first private sector and higher education clients in early 2010 were Hobsons and the University of Chicago. We started in Hanoi with a staff of three and now also have an office in Ho Chi Minh City, and a full-time staff of 15. From the very beginning, Capstone has focused a great deal of effort on developing and offering a variety of institutional services, mostly related to student recruitment, to foreign educational institutions, including colleges and universities, as well as boarding and day schools. Regarding the latter, our approach is very unique in that we don’t guide, or pressure students to attend partner schools. Since the students and their parents are out clients in this situation, we help them create a shortlist of “best fit” schools, regardless of whether they are partner or non-partner institutions. 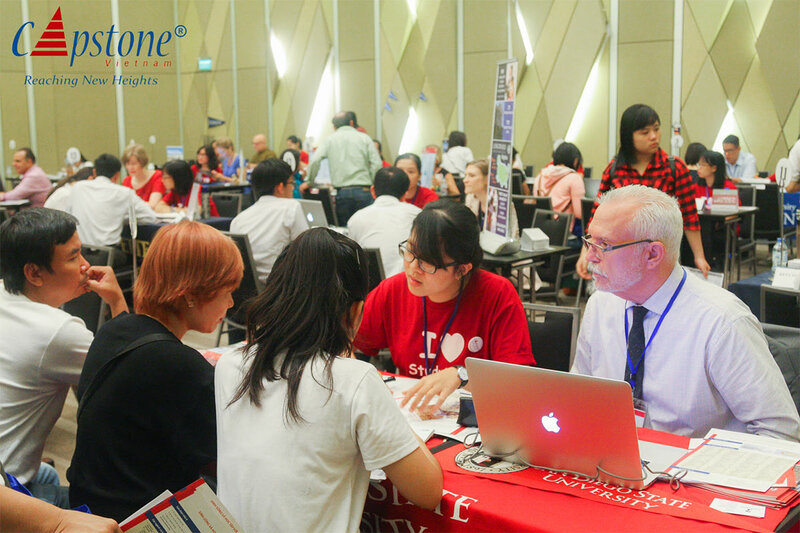 Capstone is the only education company in Vietnam and, as far as I know, the world, that works exclusively with regionally accredited colleges and universities in the US, the gold standard of institutional accreditation, and officially accredited institutions in other countries. Why? For the simple reason that quality and integrity are more important than money. Capstone, which celebrates its 8th birthday next month, still has the feel of a startup, which I like. Our reach is nationwide and we have started to do some work in other countries in Southeast Asia. Why did you choose Vietnam as the foundation of bringing about Capstone? It was serendipitous. I was living and working in Vietnam at the time and, as the expression goes, the planets aligned. I found the work to be richly rewarding and I saw the potential for future growth. What were some difficulties you experienced as an education entrepreneur in Vietnam? One chronic challenge faced by many employers, which relates to deficiencies in the education system, is the lack of soft skills among many staff. Only 45% of schools include soft skills in their curricula but they make up a mere 3% of all the courses. These include communication, critical thinking, problem solving, teamwork, lifelong learning, information management, professional ethics, and leadership. One obvious drawback of a teacher-centered education system is a lack of initiative on the part of many students. It becomes the employer’s responsibility to somehow remedy these deficiencies in various ways. How do you see education in Vietnam evolving? Like the Vietnamese themselves about issues like continued economic growth, I’m optimistic about the future of Vietnamese education, which will in large part determine people’s quality of life. One recent milestone in Vietnam’s development that can be credited in part to its educational system is its ranking of 47th in the 2017 Global Innovation Index (GII) and 9th in Asia. In one year, Vietnam jumped 12 spots. The GII provides detailed metrics about the innovation performance of 127 countries and economies around the world, including political environment, education, infrastructure, and business sophistication. What are some fun facts about Mark Ashwill? Back in my graduate student days, I developed a concept for TOEFL test preparation software before anything was on the market. A major US publisher expressed interest, suddenly stopped corresponding, and then launched its own test preparation software about a year and a half later. The key takeaway here is the importance of having legal representation when proposing a new and potentially lucrative business idea to a large corporation. This applies to any good, or potentially good, idea. Many people are perfectly happy and willing to appropriate your idea and call it their own. I ran some small businesses while I was a university student, including selling water ice at several locations in the summer. That’s where I learned about the relationship between wholesale, retail, gross and net profit. Portion affects profit! Where have you taken your expertise as an educator? 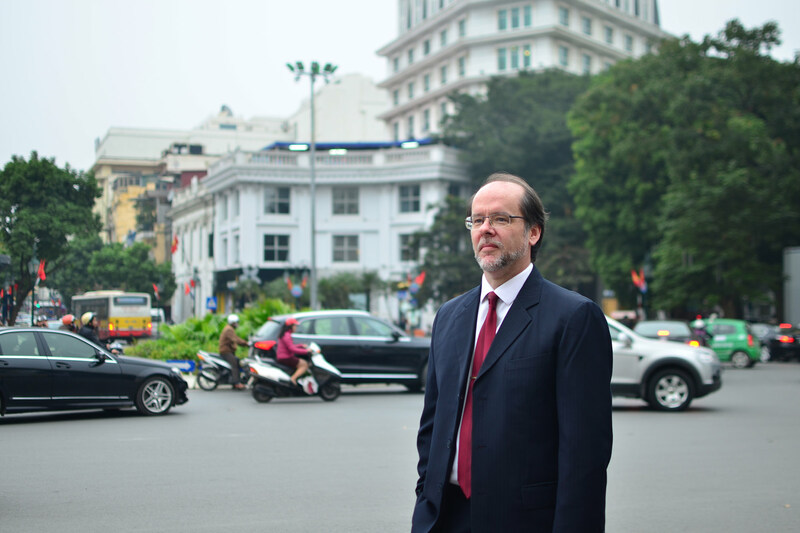 Before becoming managing director of Capstone Vietnam, I served as country director of the Institute of International Education in Vietnam (IIE-Vietnam) from 2005-09. Before that, I was director of the World Languages Institute at the State University of New York at Buffalo (SUNY-Buffalo), in addition to acting as the campus Fulbright adviser and teaching on a part-time basis. During 1994/95, I worked as a primary researcher on the Third International Mathematics and Science Study (TIMSS) Case Study Project in Germany, Japan and the US. I was a Research Associate at the University of Michigan’s Center for Human Growth and Development (CHGD) and a visiting scholar at the Goethe University Frankfurt and Northwestern University. In 2003, I became the first US American to be awarded a Fulbright Senior Specialist Grant to Vietnam. In terms of my formal education, I earned a Ph.D. in Comparative and Higher Education from the SUNY-Buffalo Department of Educational Leadership and Policy, where I had the opportunity to study with some of best scholars in the field. My M.A. and B.A. degrees are from the University of Maryland, College Park and the University of Delaware, respectively. I also studied, taught, and conducted research in Germany, including the German Democratic Republic (East Germany), at the undergraduate and graduate levels. For more information about Mark’s background, check out this biographical sketch on his blog in English or Vietnamese. Aaron Everhart. He’s the co-founder of HATCH! VENTURES, founded in 2012 with a mission to promote effective entrepreneurship and become the go-to resource for entrepreneurship in Vietnam. Aaron’s personal slogan is “I turn ideas into companies”.